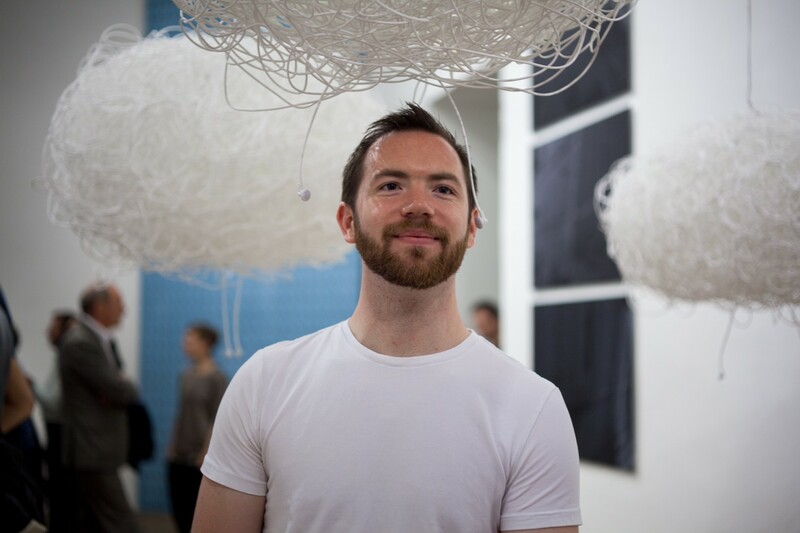 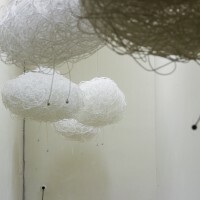 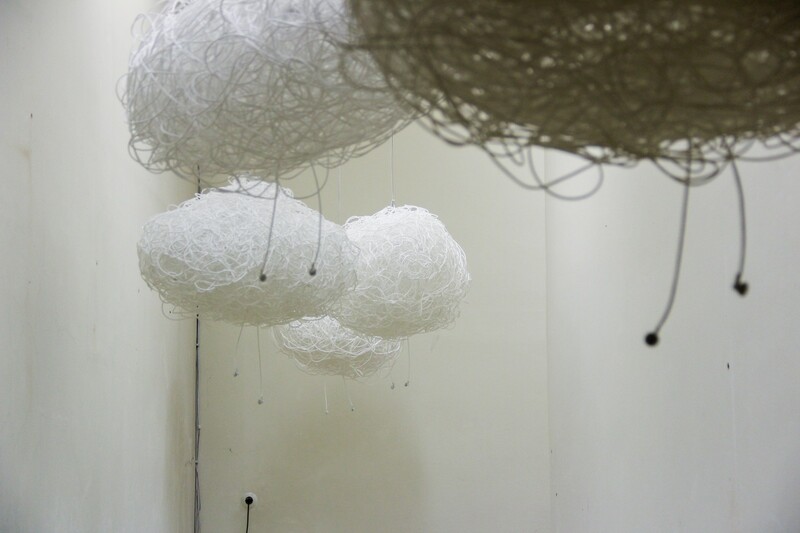 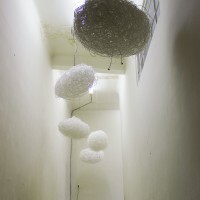 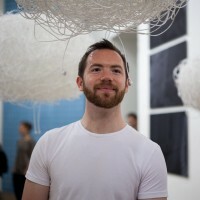 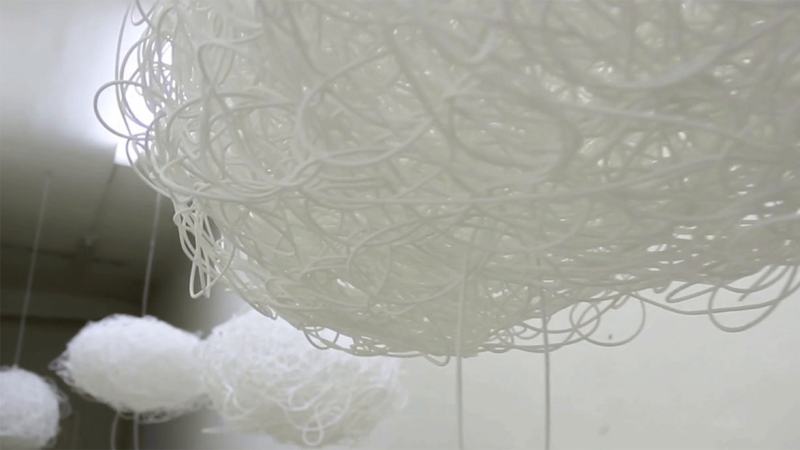 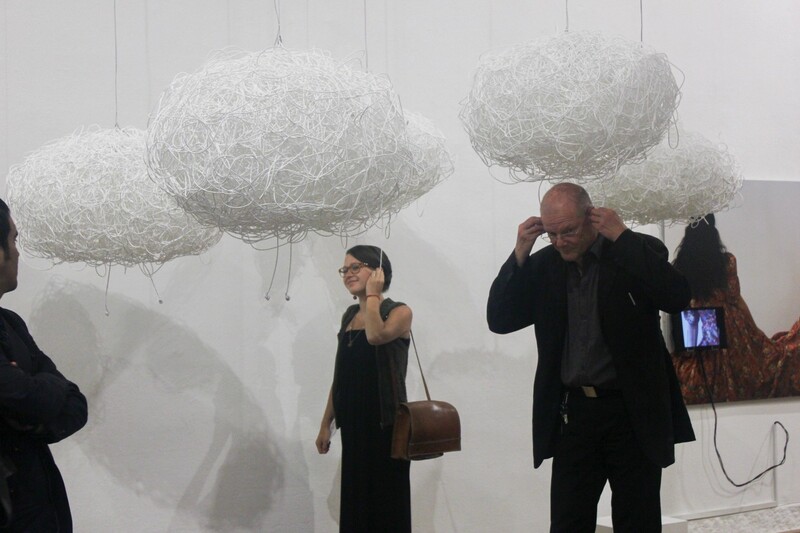 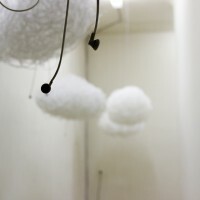 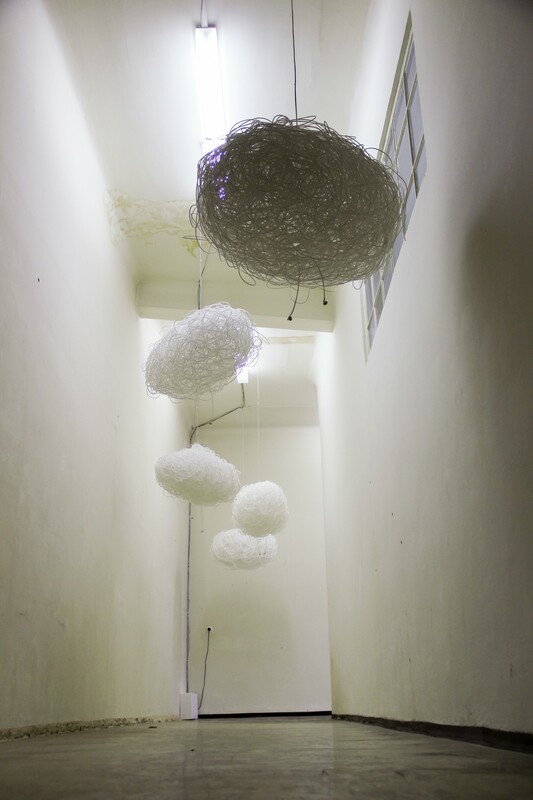 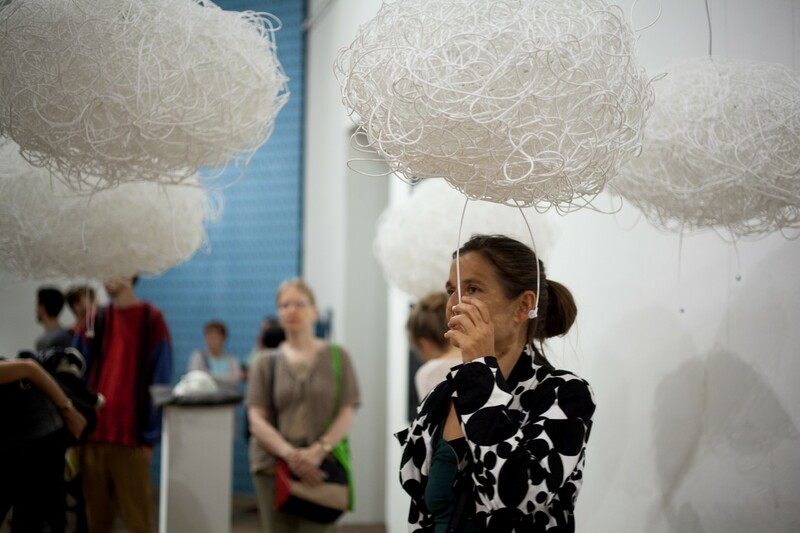 'mostly cloudy with occasional rain II’ is an arrangement of five cloud-objects made of white cable and earphones which function as a sound source. 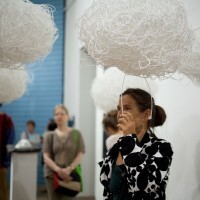 Verbal imitation of rain form the basis of the language being used. 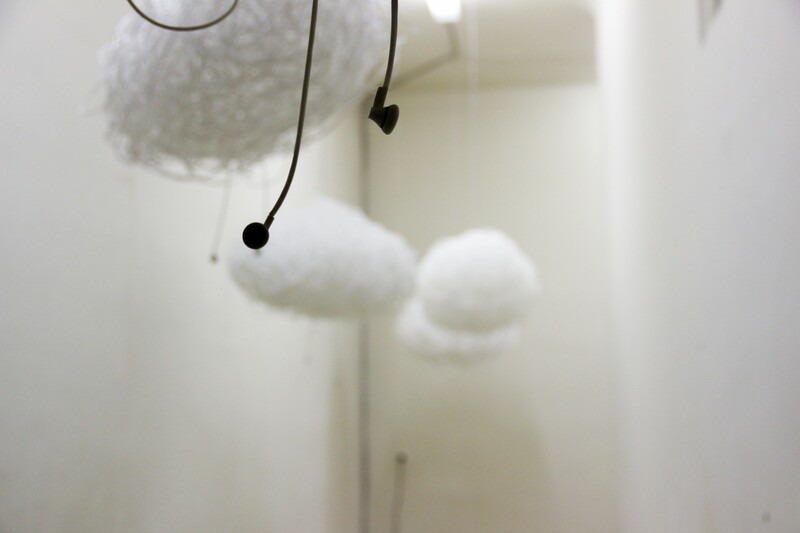 Agreeing on something seemingly similar, a collection of diverse and phonetically different noises develops. 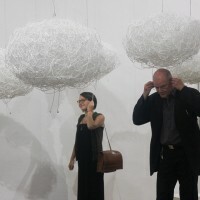 In interaction, new compositions are being created constantly.